Global expansion, mobile workforces and cloud computing are shifting the locations of your applications, data and users. These changes introduce new opportunities for business efficiencies, but they also create a set of unique cybersecurity challenges. Security teams are being asked to do more with less as they face increasingly complex scenarios and tight timelines. We worked with 451 research group to survey respondents with experience in deploying EDR from a variety of midsized and larger organizations in North America, Europe, and Asia. We asked them broader questions Like: Are there other opportunities for improvement in the SOC? What else is being used besides EDR? 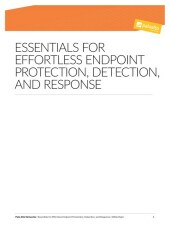 How do organizations plan their security operations for increased effectiveness? The survey data indicates that there are many opportunities for improving security operations, both within each tier and across tiers. 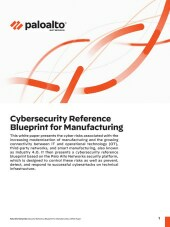 Read this paper and learn more on the capabilities and process available for you, today. 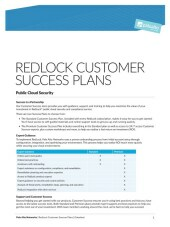 RedLock standard customer success plans outlining the value customer receive with choosing our different success plans. Focused Services – Elite provides the highest level of support services around the clock. A team of designated engineers is available 24/7 to resolve technical issues or support pre-scheduled events. This level of service also includes on-site troubleshooting assistance and two Threat Assessment Services per year. 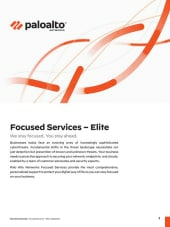 Focused Services – Elite helps you stay continuously ahead of threats with the experts you need, when you need them. RedLock premium customer success plans outlining the value customer receive with choosing our different success plans. We have created privacy document for Best Practice Assessment tool. This document primarily focuses on how we process customer files and maintain them securely. RedLock customer success plans outlining the value customer receive with choosing our different success plans. Focused Services – Plus provides advanced customer care with direct access to a designated engineer for priority case handling, paired with deep technical expertise to accelerate incident resolution. Our experts will develop a tailored release strategy for you as well as conduct a yearly Threat Assessment Service that will validate the effectiveness of your controls. This solution brief provides an overview for using GlobalProtect Cloud Service as remote access VPN. Just how significant is the threat activity by malicious actors against the global cybercommunity? One major cybersecurity company offers a hint of the current level of attacks. Most businesses standardize on couple of server, network and storage vendors but are forced to use dozens of security vendors. 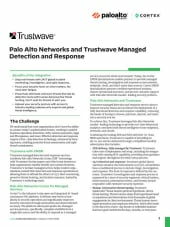 Palo Alto Networks uses its platform security approach to enable partners to add their IP under the umbrella of a single provider. This use case provides an overview of the immediate benefits RedLock was able to provide to enable a Fortune 1000 company to secure more than 10,000 workloads across 100 AWS accounts. Cortex is the industry’s only open and integrated AI-based continuous SOC platform. It delivers new levels of simplicity in security operations and significantly improves security outcomes through automation and unprecedented accuracy. The platform solves pain points for managed service partners—specifically, it provides complete visibility from a single data source and the ability to respond as a managed service across the whole environment. Today, with Cortex XDR cloud-based detection and response, partners can provide managed threat hunting, investigation and response across network, endpoint, and cloud environments. Understanding and evaluating risk is always a hot top for security professionals. 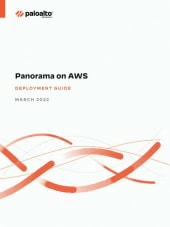 This reference document provides detailed guidance on how to deploy Panorama on AWS. 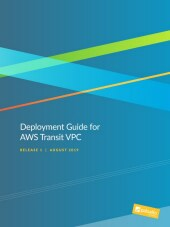 This reference document provides detailed guidance on the requirements and functionality of the Transit VPC design model on AWS. 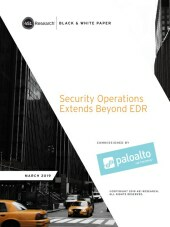 This guide explains how to successfully implement the design using Panorama, Palo Alto Networks® VM-Series firewalls, and VM monitoring. Despite a proliferation of security tools, breaches continue to happen. 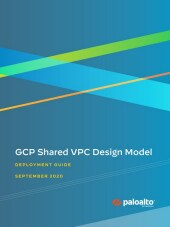 This reference document provides detailed guidance on the requirements and functionality of the Shared VPC design model and explains how to successfully implement that design model using Panorama and Palo Alto Networks® VM-Series firewalls on Google Cloud Platform. 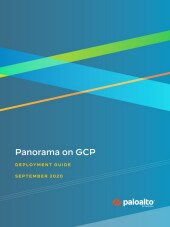 This reference document provides detailed guidance on the requirements and functionality of the single project design model and explains how to successfully implement that design model using Panorama and Palo Alto Networks® VM-Series firewalls on Google Cloud Platform. 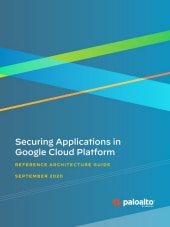 This reference document links the technical design aspects of the Google Cloud Platform with Palo Alto Networks solutions and then explores several technical design models. The design models include a model with all instances in a single project to enterprise-level operational environments that span across multiple projects using Shared VPC. Read this white paper and learn how about an integrated EPP and EDR approach. Attackers have developed an arsenal of tools and techniques to break into organizations’ networks and steal valuable information. This report reveals the latest tactics that threat actors use to stay under the radar while conducting internal reconnaissance. It also explains how automation has enabled amateur hackers to carry out advanced reconnaissance and accelerate the speed of attacks. The annual RSA Security Conference officially kicked off Tuesday morning with keynotes from host RSA, Cisco Systems and the FBI. 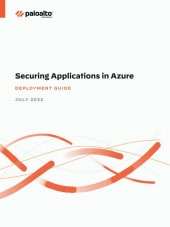 This reference document provides detailed guidance on the requirements and functionality of the common firewall option of the Single VNet design model and explains how to successfully implement that option using Panorama and Palo Alto Networks® VM-Series firewalls on Microsoft Azure. 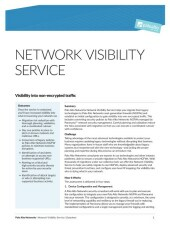 This reference document provides detailed guidance on the requirements and functionality of the Transit VNet design model and explains how to successfully implement that design model using Panorama and Palo Alto Networks® VM-Series firewalls on Microsoft Azure.